Currently, about 65% of worldwide oil is produced by waterflooding, produced water re-injection (PWRI) and production with strong water support. Yet, formation damage is a serious obstacle for oilfield development. Intensive well and water management are necessary to prevent decline in well injectivity and productivity. This is the focus of the training course. We cover the major cases of formation damage, the corresponding reservoir physics, laboratory studies and mathematical modeling, and well behaviour prediction leading the optimal well and water management strategies. The course includes numerous field cases from North Sea, Campos Basin, Gulf of Mexico and Volgo-Ural region. Numerous training exercises cover well behaviour forecast, skin factor predictions and laboratory and field data interpretation. The unique feature of the course are formation-damage assisted technologies, where the deliberately induced migration of injected or reservoir fines decreases water production, causes flux diversion and enhances the reservoir sweep. The main objectives of the course are the development of engineering skills in formation damage, its prediction, prevention, mitigation and removal. After the course, the participant is unable to diagnose possible or existing causes and physics mechanisms of formation damage, identify the technological methods of its prevention, mitigation and removal, and formulate necessary laboratory tests and mathematical modeling. Due to a unified approach to major formation damage processes, developed during 40-year industrial experience, the authors manage to describe almost all main causes for productivity and injectivity decline. However, the main training concentrates on injectivity and PWRI decline, fines migration and oilfield scaling. The course shows how the developed formation-damage skills are applied in well drilling, completion, fracturing and acidising. The course is aimed at production, drilling and reservoir engineers, simulation and laboratory specialists involved in waterflooding, PWRI, well stimulation and EOR. The course is designed for medium-experience specialists as well as for young graduated engineers, MSc and PhD students. Pavel Bedrikovetsky is an author of a seminal book in reservoir engineering and 215 technical papers in international journals and SPE. His research covers formation damage, unconventional resources, waterflooding and EOR. He holds MSc in Applied Mathematics, PhD in Fluid Mechanics and DSc in Reservoir Engineering from Moscow Oil-Gas Gubkin University. In 1991-1994 he was a Visiting Professor at Delft University of Technology and at Imperial College of Science and Technology. From 1994 and until now Pavel is a Petrobras Staff Consultant. 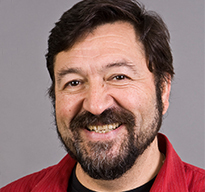 He boasts 40-year industrial experience in Russia, Europe, Brazil and Australia. Currently he holds Chair in Petroleum Engineering at Australian School of Petroleum at the University of Adelaide. He served as Section Chairman, short course instructor, key speaker and Steering Committee member at many SPE Conferences. He was also the 2008-2009 and 2016-2017 SPE Distinguished Lecturer. 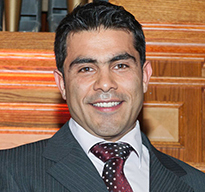 Abbas Zeinijahromi is Senior Lecturer in Petroleum Engineering at the Australian School of Petroleum in the University of Adelaide, where he specialises in Formation Damage and EOR. His current research interest is on Low Salinity Water Injection including wettability alternation and fines migration. He is the author of over 35 articles in SPE and peer-reviewed scientific and engineering journals and served in various SPE committees. Abbas holds a PhD in Petroleum engineering from the University of Adelaide, M.Sc. in Reservoir Engineering and B.Sc. in Production Engineering.